I’ve been on a serious reading kick lately. Since my trip to Greece (when I read The Tragic Teenage Cancer Love Story with the Unrealistic Male Lead), I’ve been steadily digesting book after book. I’ve always loved reading and I generally love to have a book on my nightstand or in my bag at all times, but there are spells when I fall out of the habit. These lulls usually happen because I hit a book that I’m not totally into, and therefore my reading slows down. It becomes more and more of a chore to read when a book is just not grabbing my attention (and I rarely rarely rarely rarely quit a book; it just feels wrong). You would think that when I finish one of those not-so-interesting-slow-progressing books, I’d be thrilled to finally be done with it so I can start a new, potentially better book. But actually, I find that those books kind of just put me off reading in general and it takes me awhile to get back in the swing of things. I say all of this because I read one of those not-so-great books earlier this year, and it led to a fallow reading period for me. The book was The Billionaire’s Vinegar: The Mystery of the World’s Most Expensive Bottle of Wine. Great title, right!? I had wanted to read this book for quite awhile. It’s the true story of a bottle of 1787 Lafite that was supposedly owned by Thomas Jefferson and discovered in a walled up Paris cellar in the 1980s. The bottle was sold at auction in 1985 for over $150,000. The authenticity of the bottle, its provenance, and the reputation of Hardy Rodenstock (the man who claimed to have discovered the cellar) were all called into question immediately, and the controversy was revisited repeatedly in the ensuing years. As I work in an auction house, I was intrigued by the auction element; as a former history major, I was interested in the historical aspect; and as a breathing human, I was hooked by the mysterious drama of it all. In other words, my expectations were HIGH. The book is not in print in the UK, so I nabbed a copy when I was home at Christmas last year. I eagerly started reading when I was back in London but after a chapter or two, my progress ground to a slow and painful crawl. This book had so much promise: Big spenders! Possible forgery! Potential con men! Reputations on the line! So why was it so difficult to get through?! After opening with the sale of the bottle, Benjamin Wallace goes on to write at length about a ton of different wine tastings and various characters within the Super Old Wines World, instead of focusing on the big draw: Is the bottle fake or not? These tastings all relate in some way to Hardy Rodenstock, the Jefferson bottles (there were several more in addition to the 1787 Lafite), and other old bottles he purportedly discovered. As I read the book, though, all the tastings and all the people involved seemed to become one indistinguishable mass. Every chapter seemed more or less identical: one of the bottles is opened at a lavish party; some people marvel at it’s amazing taste and how well its been preserved; others are skeptical and accuse Rodenstock of forgery; something about the shape of the bottle, the size of the cork, the engraving is mentioned; the Jefferson people or some other historical body raise objections about the provenance; and so on and so forth. Always the same story. Over and over and over again. It’s only at the very end of the book that Wallace gets to the crux of the issue: whether or not the bottle was fake. It is an extremely long walk to get to the really interesting question and when he finally addresses it straight on, he dispenses with it in two short chapters. Not cool. Perhaps if I were more into wine, I would have appreciated all the who’s-who of the wine world and the stuff about vintages, grapes, bug infestations, glass shapes, etc. As it was, I was forcing myself to sit down and read 20 pages occasionally. And – while this will sound super harsh – it had nothing to do with the story and everything to do with the telling. Wallace took a super intriguing tale and beat all the interest out of it. What a disappointment! Fortunately, the trip to Greece got me back on the reading horse, and I have been powering through books since May. And the book I most recently finished was in a similar vein to The Billionaire’s Vinegar, but SO MUCH BETTER. This one was called The Telling Room: A Tale of Love, Betrayal, Revenge, and the World’s Greatest Piece of Cheese. Another great title, right?! And unlike the story of the wine, the story of the cheese did not disappoint. Michael Paterniti’s book tells the story of Paramo de Guzmán, a rare sheep’s milk cheese created by Ambrosio Molinos in the small Castilian town of Guzmán. While the book is ostensibly about this cheese – about how it was lovingly created by Ambrosio, built into a successful business by him and subsequently lost either through an act of betrayal by his best friend or through a poor grasp of business (depending on who you ask) – it is actually about so much more. It’s about how we relate to the earth; about where our food comes from; about the modern pace of life; about the stories that make up our personal and communal history; about the importance of family; about the joy and the pain of friendships; about how we view ourselves and how others view us; about the love of one’s country; about pausing to enjoy life’s small pleasures; about understanding where you’ve come from; about the desire to achieve something significant; and so much more. If you can’t tell, I absolutely LOVED this book. Truth time: I even cried at one point. I cried reading a book about cheese! It’s just so well done – layered, surprising, heartfelt, personal. So so good. In reality, it’s probably unfair to compare The Billionaire’s Vinegar and The Telling Room. Wallace told a story about wine; a story in which he was not personally involved at any point. Paterniti’s book is almost a memoir at times. He is both the distinctive narrative voice of and an active character in the story. He lived in Guzman for a summer, researching the story, spending time with Ambrosio Molinos (they are pictured together in the image above*), and attempting to embrace the slower paced Castilian lifestyle. The book is as much about the cheese as it is about his own writing process and journey of discovery. But stylistic differences aside, there are basic similarities to the stories. Each tale deals with a food/drink product surrounded by intrigue, history, and drama. In the end it comes down to the fact that I think Paterniti is a better storyteller than Wallace. Obviously, it may just be a matter of taste. Some people may love Wallace’s focus on wine tastings rather than potential forgery. Some people would probably hate the way Paterniti inserts himself into the Story of the Cheese, or his prolific use of footnotes, or the seeming tangents he goes on from time to time; but I loved all those things. They served to make the story of Ambrosio Molinos and his cheese so much richer – simultaneously more epic and more personal. Suffice it to say, since finishing The Telling Room, I’ve been dreaming of a road trip through Spain – eating cheese and ham, drinking wine, telling stories. When I finished The Billionaire’s Vinegar, my feelings about both wine and auctions remained unchanged. *That picture links to a GQ interview with Paterniti about the book. Worth a read. Have you heard about The Fault in Our Stars? The novel about teenagers with cancer that has taken the world by storm? The latest young adult offering to appeal to teenagers and adults alike? The book that touches the heart and makes people weep openly? No? You haven’t? Well, there are only two possible explanations for your ignorance: 1) You don’t know any teenage girls; or 2) You pay absolutely 100% zero attention to any form of pop culture. Otherwise, this cultural phenomenon has been unavoidable of late. The current ubiquity is primarily due to the fact that the book was recently made into a movie. A movie that just hit theatres in the States and is shortly to debut here in the UK. Hmmmmm, not really that tempting, actually. But then the movie was coming out, and I have this thing where if I think there’s any chance I might see a movie which is based on a book, I feel like I have to make an effort to read that book first. So I bought a copy at the airport before departing for Greece. I figured even if it made me ugly cry, at least I’d only be doing it in front of my parents, and surely a Mediterranean holiday was the perfect antidote to any existential, depressive crises. I got Instgrammy in the airport pre-flight. Turns out it’s a pretty fast read (not that surprising I guess, given that it’s a YA book), so I had finished it by the next morning. And, well, I have Thoughts. 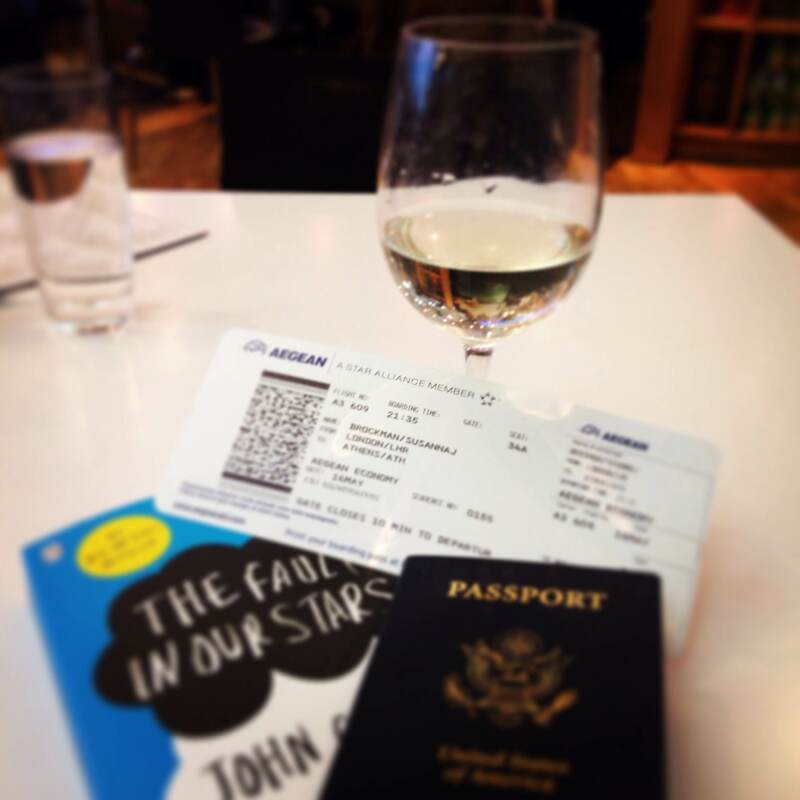 With a capital T.
To put it simply: I am not on board the Fault in Our Stars train. Also, I might be dead inside. Okay, it’s gonna get a little spoilery from here on out, people. Sooooo, this serves as your SPOILER ALERT! Consider yourself warned: if you’re planning to read the book or see the movie, you might want to skip out at this point. Are you still here? Alright, well you were warned. Soooooo, for those few who have not read the book, don’t care about being spoiled and are still reading, here’s some general plot info before I launch into things. The very basic plot: Hazel meets Gus. Gus loves Hazel. Hazel is hesitant, but eventually she returns Gus’s love. Love love love. LOVE. Things that complicate the very basic plot: CANCER. DEATH. The difficulty of embracing true love in the face of said CANCER and DEATH. Parents struggling to deal with the sickness and inevitable death of a child. Children struggling to deal with the guilt and worry over subjecting their parents to crippling grief. The desire to be defined beyond one’s illness and the longing to leave something/anything behind and thus to be remembered, to not fade into oblivion. Movie poster – for visual interest in this ranty post. I dislike emotionally manipulative novels. Okay, this may be painting with too wide a brush. I suppose on some level all novels are emotionally manipulative in that they are centered around fictional characters in whom we invest our time and energy, and to whom we therefore have varied emotional responses. Fine, fair enough. What I dislike about TFIOS is not that it’s a sad story, but that it’s a sad story that feels the need to go beyond being a Sad Story to become a Super Depressing Overwrought Story That Depicts the Harsh Reality of the World While Simultaneously Illuminating the Beauty of Humanity. It’s the type of book that is straining to be earnest and deep and ends up being melodramatic and unbelievable. It’s a tricky thing to define, but I suppose it comes down to whether or not you can see the seams of the story. It’s not that I didn’t care for Hazel and Gus or understand the emotional and physical pain of their story. It was that I felt like I could see the gears moving behind the scenes; I was being beaten over the head with the Importance of Their Story. The story felt more like a carefully worked strategy to produce human tears than a natural, realistic story about what it’s like to be a teenager in love who happens to have cancer. There were bigger problems with MSK throughout than there are in TFIOS, but the same feeling of cheap, emotional manipulation was there at the end. Suffice it to say, reading a book in which the main character has terminal cancer is never going to be a picnic and that’s fine. But then there’s the “twist” – a word I use in the loosest sense as I could see it coming from about page 2 (I will admit, this may be due to the fact that it is a YA book) – a twist that took things over the edge from Sad Story to well…see above. 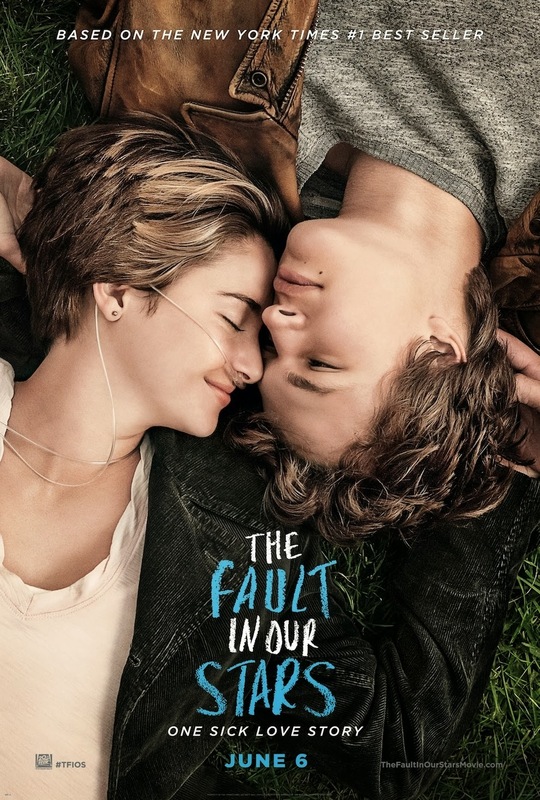 In reading TFIOS, I could see how the progression of the story – twist included – served to develop the characters of Hazel and Gus, both within their relationship and as individuals. I think within a novel that felt more true-to-life and realistic (more on this below in my dislike of Gus section), I would have felt things more deeply. As it was, the same feeling of manipulation that I felt so vividly in My Sister’s Keeper was there again. It produced less white hot this time around, but it did produce a kind of sad disappointment, particularly given the target audience for TFIOS: teenage girls. I could see how of course TFIOS would produce weeping and gnashing of teeth in teenage girls. Of course! Because the story is about such a beautiful romance with such a beautiful guy; because that guy is so dreamy and cool and wonderful and funny and he loves Hazel so much and he’ll do anything for her and oh right, he is completely 100% unrealistic. Which brings me to my other main complaint against the book: I dislike Gus. Don’t worry, he’s not a smoker; the cigarette’s a metaphor. What a cool dude, right? Now I don’t out and out hate Gus. My biggest problem with him is that he just is too good to be true. Literally. He is not a realistic character. He’s the embodiment of every bookish/intelligent/sensitve teenage girl’s dream. He’s good-looking! Smart! Funny! Witty! Sarcastic! Generous! Well-spoken! He finds equal pleasure in video games and books; he tells the girl he likes that she’s beautiful and that he loves her without embarrassment or hesitation; he supports his friends through incredibly difficult situations; he respects and loves his parents; he sticks with people even when he gets nothing out of it; he does everything in his power to deliver the one thing that his true love wants more than anything; etc. etc. etc. I’m not saying that teenage boys cannot be decent human beings or display any of the above characteristics. I’m saying the likelihood of finding a teenage boy who is that amazing ALLTHETIMEALWAYS is so unbelievably unreal that it made Gus into a caricature. And while he is undoubtedly supposed to be awesome, there are parts of Gus’s character that I actually find pretty distasteful. For example: when Hazel says she doesn’t want to get involved for fear of causing him future grief, he pursues her relentlessly anyways and it’s supposed to come across as romantic. More like pushy and selfish, if you ask me. Or when he explains how he stuck with his late [Yes, as in deceased. This is a cancer book, remember?] girlfriend even though he wasn’t really into her anymore, it’s supposed to seem wonderfully noble given that she had a personality-altering brain tumor. But in telling that tale to Hazel, he just came across as arrogant. So I find it upsetting that teenage girls are reading this book and mooning over this completely unattainable perfect cancer-stricken soulful hunk of a teen. If Gus had some more obvious flaws, then I might very well be Team Gus! I’ve tried to throw myself back in time and consider if Teenage Susanna would have swooned for Gus. I’d like to think that at even as a teenager I would have found his too-good-to-be-true-ness a bit much. But maybe not; maybe I would have fallen for the fallacy and spent several years hoping to meet a super cool guy with a fatal disease. 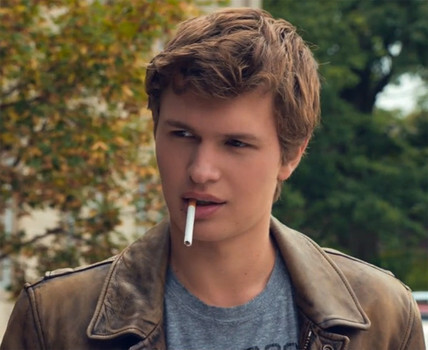 Interestingly, after I had already written a good chunk of this post, I came across an article entitled, “He’s Perfect, He’s Awful: The Case Against The Fault in Our Stars’ Gus Waters” on one of my favorite pop culture blogs. The author is careful to stipulate that he is writing about Movie Gus, but from what I read, he seems pretty much the same as Book Gus. And all the author’s objections about Gus boil down to pretty much the same problems I’ve got with him. So really, I should have just linked to that article to begin with because it is written by a professional. Anyways, this post is already far too long. So I’ll try to wrap this up. Even with all my complaints above, I would recommend the book to others, and I’ll definitely see the movie at some point (maybe not in the theatres…) and I will surely sob my eyes out when I do. There are parts of the book outside of the central romance that I found wonderfully moving and authentic. Like the way Hazel’s parents deal with the fact that they will inevitably outlive their daughter, or the feeling of helplessness that goes along with a serious illness, especially as the suffering becomes more and more intense. Despite some of the things I’ve said above, I do think John Green is a gifted writer, and I would check out some of his other books…as long as they don’t feature terminal illness as a central plot point. The good parts, though they may be secondary, make the book worth reading. It’s just a shame that they come hand-in-hand with the melodrama and overly-perfect Gus. Oh, and kids? I’m gonna go ahead and say it’s never in good taste to make out in the Anne Frank house. But what do I know? I’m dead inside. *It should be noted that I read MSK because Rachel loved it and got really excited when they were making it into a movie. She wanted us to go see it together, and she wanted me to read the book because she loved it so much. It is one of the few things on which I have taken such an absolutely opposite view to her. And to be clear, if I could save Rachel’s life by giving her an organ or donating my blood or something, I would do it in a heartbeat because I love her very much. So my problem with MSK is not with the sisters’ relationship which is loving and sacrificial, genuine and realistic. My problem is with EVERYTHING ELSE. Ugh. You’ll all be glad to hear that my podcast listening continues apace. Over the past month, I’ve been figuring out which shows I really really enjoy; I’ve added new ones to my regular subscriptions; and I’ve started to drop the ones that I really just never get around to listening to (ahem, The Diane Rehm Show). A few shows have emerged as my top choices – the ones I listen to as soon as there is a new episode available. But of those, there is only one that I’ve enjoyed it so much, I’ve gone back and downloaded old episodes so I could listen even more. That show is The Dead Author’s Podcast. The premise is simple: H.G. Wells uses his time machine to travel back in time and collect a dead author for a modern day interview. What’s that you say? H.G. Wells is dead? And he didn’t actually have a time machine, he just wrote a book about one? Okay, so yes, it’s a silly and light-hearted podcast, but it’s for a good cause and it’s extremely entertaining. Comedian Paul F. Tompkins plays H.G. Wells as a genteel Englishman who considers himself (NOT Jules Verne) to be the father of science fiction. He asks his deceased literary guests softball questions in an effort to understand the experiences and inspirations that contributed to their works. The podcast is recorded in front of a live audience at The Upright Citizens Brigade theatre in Los Angeles. The authors are played by various comedians and members of UCB. Sometimes they seem decently prepared for the role – they’ve obviously read up a bit on the author, bought one of their books, etc. Other times, they are undoubtedly completely under-prepared and unfamiliar with the author. The accents start strong and often deteriorate throughout the episode as the tone gets sillier and sillier. The episodes are always hilarious. So far (of the ones I’ve listened to), my favorite has been Agatha Christie. Jessica Chaffin played her as a condescending English aristocrat, with a high opinion of her own talent and prolific literary output and a low opinion of Hercules Poirot and her first husband. Very entertaining. The podcast is all in support of the Los Angeles branch of 826, a nonprofit providing support, tutoring and resources to teachers and students to improve basic and creative writing skills. If you’re a big reader, you’re sure to enjoy the funny takes on famous authors, but even if you’re not a reader, the interviews will provide you with some good laughs. Go check it out.